Are you trying to contact Sofology, the UK sofa company? Then look no further, because all of the details you need are right here. This page lists phone numbers to connect to Sofology and other contact methods. Sofology is a leading specialist sofa retailer in the UK. The Tyldesley family founded the company in 1974 as Clayton Salesrooms. After opening shops around North West England in the 1980s, it rebranded to CS Lounge Suites in 1992. It became CSL in 2005, before changing again to Sofaworks in 2013. Today it goes by Sofology, after rebranding in 2016. This was due to losing a court case against DFS on behalf of their Sofa Workshop brand. DFS later acquired Sofology for £25 million in 2017. Sofology is recognizable as the sponsor of the Channel 4 television show Gogglebox. Owen Wilson currently stars in their advertisements. Contact Sofology during their opening hours using the appropriate helpline. Call Sofology on 0843 557 4860 to speak to the Customer Care team. 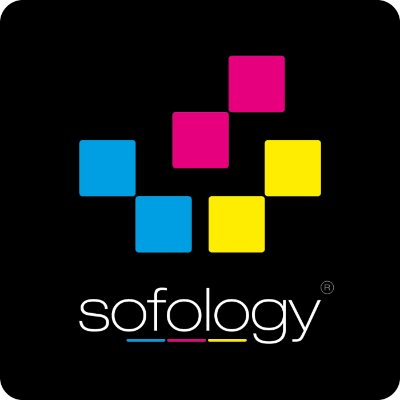 If you want to spend time choosing a sofa carefully, get information about your nearest Sofology store. Find out about the current collections to get an idea of what you would like. Trust the Order Direct Advice service to help you find the ideal sofa and then place the order over the phone. You can even request a callback so you can definitely have time to discuss everything in detail. Call Customer Care for enquiries about Club Sofology, from the Lookbook to your MySofology account. Unsubscribe from Sofology marketing if you do not want to receive e-mails. The delivery time and costs depend on the product and should inform your choice when purchasing. The range of Express Sofas are available in 4 weeks, some even in 7 days, if you need your sofa quickly. Log in to your MySofology account or call 0844 248 3284 to track the progress of your order. If it is less than 48 hours old, you can call to make changes to it. This includes colours and configurations and maybe even the design. After 48 hours you can call to discuss options, but there may be nothing Sofology can do once the production team are manufacturing it. Call for help booking your delivery, or amending the delivery slot. You don’t need to save up for a long time and keep waiting to buy your dream sofa. With Delivery Money, you can pay a 10% deposit then pay the rest upon delivery. You can pay it all upfront if you choose to, or half now and half later. Monthly Money allows you to set the monthly payment you can afford. Sofology will take the direct debit from you every month until you pay off the sofa. You can pay as much upfront as you like, or pay completely through Monthly Money. Or choose to pay nothing for up to 12 months after the deposit with Money Next Year. Call 0844 248 3285 for help with your Sofology Money plan and payments. Even after Sofology delivers your furniture to your house, you might need to contact them about it later. In this case, call 0844 248 3286 for post-delivery product support. Call for general advice if you need tips on caring for your sofa. Whether it is leather or fabric, ask for help with maintenance of the sofa and the fibre filling. If you notice technical damage after delivery, call this number to log the problem for repair. If you accidentally damage it and didn’t buy Sofashield, call to get a quote or book a chargeable service from Sofology repair technicians. You may be able to get this service for free if your product is under warranty. Sofashield is a “personal sofa ambulance service” according to Sofology. Customers can only purchase the service when they purchase furniture from Sofology. After delivery, you can no longer add the service to your sofa. In the first five years, you can call Sofashield to fix marks and scratches on your sofa as often as you need to. If the Sofashield experts can’t repair or remove the damage, they can replace the parts. They will even replace the whole item if necessary. Call 0844 248 3287 to buy Sofashield before delivery or to find out if you qualify for a claim. Report the accidental damage within 24-72 hours for Sofashield to fix it. When you buy from a Sofology store, you should contact them initially about your payment, delivery, the product itself, and any problems with these. You can find the contact details for your store here. After this you should call 0844 248 3288 if they cannot resolve your issue. Call this number directly to complain if you bought your product online. Complain about the furniture itself or the service, from sales to delivery. Ask to speak to the Escalations Team, or e-mail them at complaints@sofology.co.uk. Allow them time to investigate your complaint. If you come to a deadlock, contact the Furniture Ombudsman for resolution. If you want to work for Sofology in any capacity, contact them on 0844 248 2937 and ask to speak to the recruitment team. There are roles at the head office or in retail, operations, and upholstery. Register on the Sofology careers website to create an account and search for vacancies. You can set it up so that when a suitable vacancy comes up, Sofology will contact you. There is plenty of information about interviewing and training on the site. You can also e-mail recruitment@sofology.co.uk with career questions, but don’t send a prospective CV. You have to apply through the website so that it registers on their tracking system. Aside from calling on the phone, the next fastest method to contact Sofology is social media. Message the customer care team on Facebook or Twitter (or tweet directly to @SofologyHelp). The social media team is only available to help between 9am and 5pm from Monday to Friday. They will aim to respond within 72 hours if you send them an e-mail at social.media@sofology.co.uk. The same applies to the other customer services e-mail addresses, info@sofology.co.uk and customer.services@sofology.co.uk. Otherwise, you can submit an online contact form to get product support. Lastly, you could write a letter to the head office.